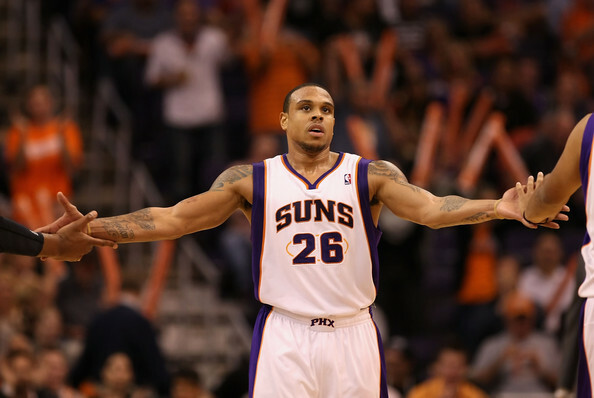 Shannon Brown-SG-Suns- The former 1st rounder from Michigan State has been a starter and a productive bench player for the Suns this season. He’ll average 25-30 minutes a night and can give you some nice numbers across the board. Here’s a sampling: In his last four games, Brown has averaged 16.8 points, 3.3 rebounds, 2.5 assists, 2.5 steals, and 0.8 3-pointers. His steals come in bunches (8 in his last 2 games, 14 in his last 5) and can give you an edge just in that category alone. Owned in just 25% of leagues, he is a must add in 12+ leagues; all formats. Mike Dunleavy-SG/SF-Bucks- I remember watching him play when he was at Duke and was not surprised when he became a 1st round draft pick in ’02. Like Shannon Brown, Dunleavy will average 25-30 minutes a game however the swingman from Milwaukee will excell mainly in three-pointers, points, FT (80.6%) and FG percentage (46%). He’s drained 14 threes in his last five games! Dunleavy is available in just 55% of leagues so don’t sit on him if he fills those needs for your roster. Jimmy Butler- SG/SF-Bulls- For strictly a ‘fill-in’ or stop gap while Luol Deng sits out with a hamstring injury, take out a flier on Butler and check to see if he’ll continue to start this weekend. In his last three starts in Deng’s place, he has averaged 15.3 points and 8.7 boards. Hardly owned (5%) he’ll make for a good pickup in deeper leagues or for those who have lost Deng’s numbers since he’s been out. 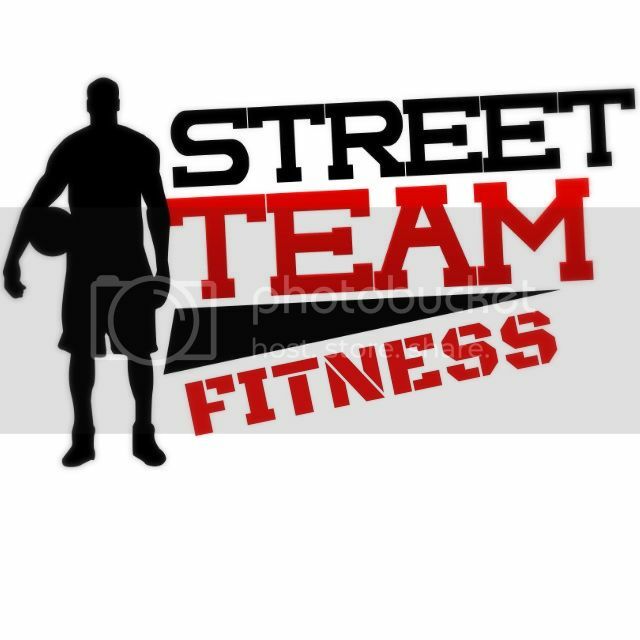 Randy Foye- PG/SG- Jazz- Foye is too inconsitent for those in shallow leagues so we recommend that you pickup with caution if you are. The 7th all-around pick of the Celtics in the ’06 draft can net you 22 points one night then 7 the next. In his last two games he’s averaged 16.0 points, 3.0 threes, 3 rebounds, and 1 steal. He is owned in 40% of most leagues so again proceed only in deeper leagues. 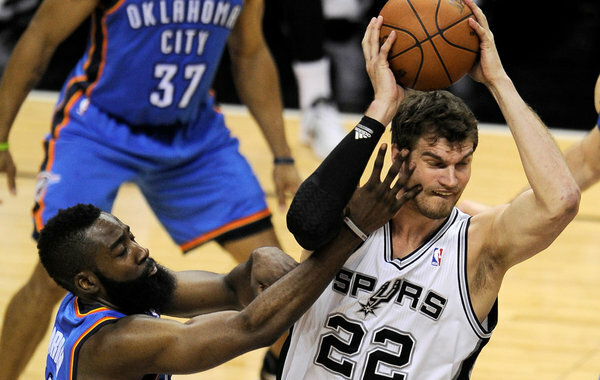 Tiago Splitter- C-Spurs- This is the second time we are touting Splitter because he just seems available in way too many leagues. For the past 7 days he is ranked 28th in Yahoo! leagues and is still only owned in 34% of leagues! His averages over the past week (four games) is 17 points, 8.8 rebounds, 1 steal and .5 block, while playing over 31 MPG. Surely you can do worse than him. In all leagues and formats, we urge you to consider Splitter as he should be rostered everywhere. I like the Dunleavy kid, even if he makes me feel really old since I remember his old man.